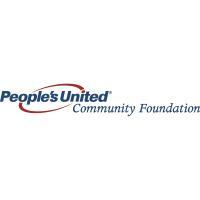 New London, CT – People’s United Community Foundation, the philanthropic arm of People’s United Bank, N.A., today announced that it awarded $18,500 to New London County non-profits during its most recent grant cycle. Funding was allocated to three non-profit organizations in support of affordable housing initiatives and special needs services. “We are proud to partner with a number of non-profit organizations that are creating positive change for individuals and strengthening our communities,” said Karen Galbo, Executive Director of the Foundation. In total, People’s United Community Foundation awarded $875,500 during its third grant cycle of 2018 to 171 organizations throughout the communities it serves in Connecticut, New York, Massachusetts, Vermont, New Hampshire and Maine. The grants were disseminated in alignment with the foundations’ three areas of focus, including 43 percent to community and economic development, 37 percent to youth development, and 20 percent to affordable housing initiatives. For a detailed list of organizations that People’s United Community Foundation supported during the third grant cycle of 2018, visit www.pucf.org. People’s United Community Foundation helps support programs and activities that enhance the quality of life for citizens in the communities that People’s United Bank serves. People's United Bank, N.A. is a subsidiary of People's United Financial, Inc. (NASDAQ: PBCT), a diversified financial services company with approximately $45 billion in assets. People’s United Bank, founded in 1842, is a premier, community-based, regional bank in the Northeast offering commercial and retail banking, as well as wealth management services through a network of nearly 400 retail locations in Connecticut, New York, Massachusetts, Vermont, New Hampshire and Maine.